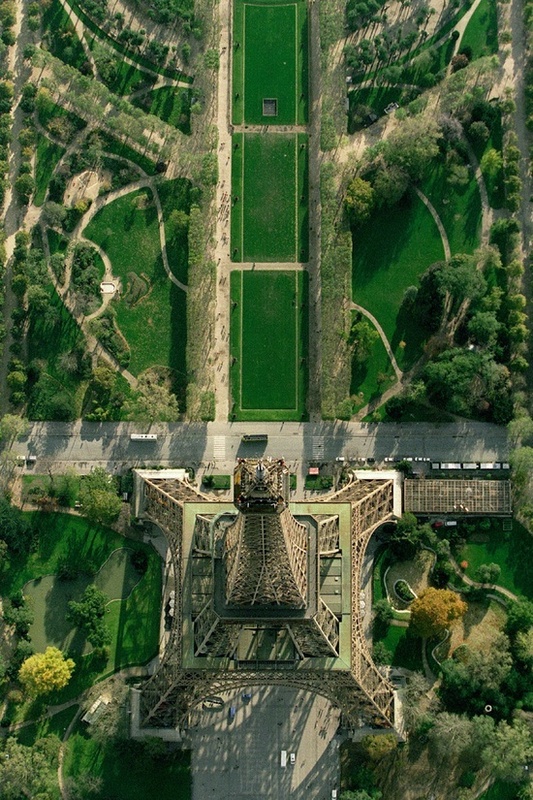 The Eiffel Tower is an iron lattice tower located on the Champ de Mars in Paris, named after the engineer Gustave Eiffel, whose company designed and built the tower. Erected in 1889 as the entrance arch to the 1889 World's Fair, it has become both a global cultural icon of France and one of the most recognizable structures in the world. The tower is the tallest structure in Paris and the most-visited paid monument in the world; 7.1 million people ascended it in 2011. The third level observatory's upper platform is at 279.11 m the highest accessible to public in the European Union and the highest in Europe as long as the platform of the Ostankino Tower, at 360 m, remains closed as a result of the fire of August 2000. The tower received its 250 millionth visitor in 2010. The tower stands 320 metres (1,050 ft) tall, about the same height as an 81-storey building. During its construction, the Eiffel Tower surpassed the Washington Monument to assume the title of the tallest man-made structure in the world, a title it held for 41 years, until the Chrysler Building in New York City was built in 1930. However, because of the addition, in 1957, of the antenna atop the Eiffel Tower, it is now taller than the Chrysler Building. Not including broadcast antennas, it is the second-tallest structure in France, after the Millau Viaduct.